The staff at West End Denture Clinic are highly trained and provide first class service so your visit will be memorable. We make dentures affordable and can provide you with a wide range of denture options from full, partial, implant dentures and repairs to dentures only using premium quality materials. West End Denture Clinic provides you with exceptionally natural aesthetic and individualised teeth for the best in cosmetics and function. You have a selection of up to 16 different shades of colours for your new teeth, or we will match existing teeth perfectly. With 31 different moulds/shapes of teeth to choose from we will be able to match your new teeth to a Tee. 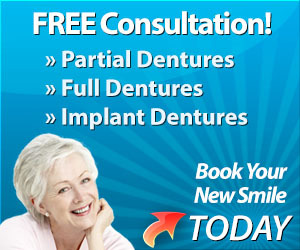 We work with you to design custom dentures that can help restore your natural beautiful smile. When it comes to dentures, excellence should almost go unnoticed. The better the dentures the more natural and lifelike they appear. We strive to make your dentures appear more natural because they are designed and handcrafted especially to compliment your personality, gender, ethnicity and physical appearance. Our Practice has its own onsite laboratory designed to process each patientâs denture efficiently. Since the laboratory is here for the denture clinic patients only, this saves you time and allows us to provide a quicker service for you. We have eliminated the middle man, therefore the cost that other dentists must incur when they send out their dentures to commercial laboratories are not applicable to us, saving you more money. This allows us to keep fees low and monitor the exact quality of every denture produced as it is hand crafted by us at our site. 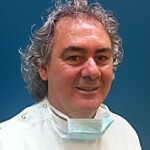 Peter has over 20 years experience and attributes much of his dental knowledge to the senior lecturers and professors he worked with at the University of Queensland Dental School. Peter prides himself on attention to detail and satisfying every patient that visits the practice. 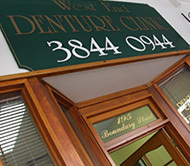 The ability to listen and communicate with patients is a key element to the success of West End Denture Clinic. Living locally to West End, Peter enjoys a good coffee and relaxing read of the Sunday newspapers at the nearby coffee shops.